It is with the heaviest of hearts that we announce the passing of Dr. Morrel Paul Bachynski, founder of MPB Technologies and MPB Communications, Inc.
Dr. Bachynski was born in the summer of 1930 on a farm outside of Bienfait, Saskatchewan. 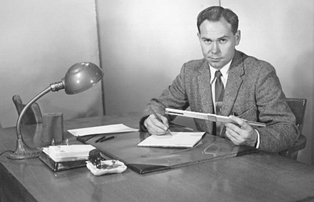 He completed part of his high school education by correspondence courses, and won the prize for the highest scholastic standing among the University of Saskatchewan graduating class of 1952, as well as scholarships for his Ph.D. work at McGill University which brought him to Montreal. 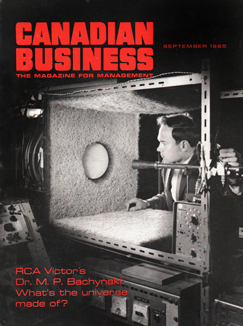 By the age of 34, Dr. Bachynski held one of the top research positions in Canada, the director and later vice-president of RCA Victor Research Laboratories in Montreal, Quebec. MPBC opened its doors in January 1977 in the old RCA Research and Development lab in Ste. Anne-de-Bellevue after RCA had decided to close its Canadian operations. MPB Technologies achieved national and international recognition for its involvement in lasers and electro-optics, fusion research, millimeterwave radiometry and radar, space shuttle experiments, and international optical fiber telecommunications systems, and visible fiber lasers. Dr. Bachynski has authored more than 90 publications in recognized scientific journals. 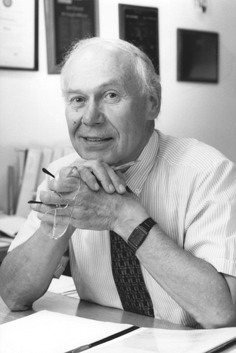 He is a Fellow of the Royal Society of Canada, the highest academic accolade available to scientists and scholars in Canada, of the American Physical Society, of the Institute of Electrical and Electronics Engineers, of the Canadian Academy of Engineering, of the Canadian Aeronautics and Space Institute and an Associate Fellow of the American Institute of Aeronautics and Astronautics. He started the Bachynski Family Foundation in 2009 to fund advanced optical equipment for the Montreal medical community. Dr. B., as he was affectionately known, played tennis twice a week up to last year, and remained active with his Companies, family, and foundation until the end. He died at home early the morning of March 21, 2012, surrounded by his family, at the age of 81. He is survived by his wife Slava, and his daughters Caroline and Jane, their spouses, and three grandchildren.